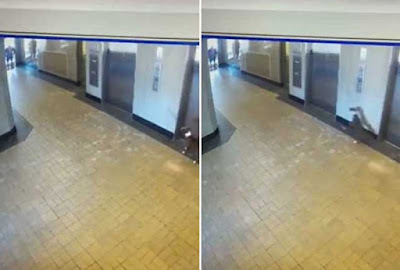 A worker at an apartment complex in Springfield, Missouri, likely saved a dog's life after the pup's leash got caught in an elevator door on Wednesday. 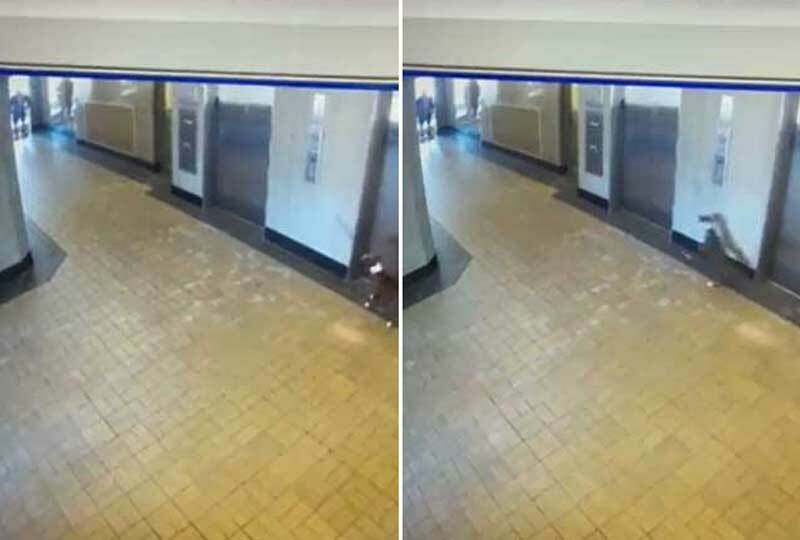 In the video, the dog's owner is shown walking in the elevator but the dog is distracted as the door closes. 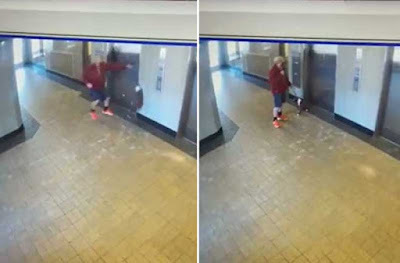 Seconds later, the leash tightens as the door closes and the dog flies into the air, slamming the pup against the elevator door. Brian Ussery, a maintenance supervisor at the apartment complex, was walking through a door in the lobby when he saw the dog flying through the air. In the video, Ussery is shown running toward the dog. As he reaches the pup, the leash tightens again and the dog starts flying through the air again. Thinking quickly, he grabbed the dog and broke the leash. "I would hate to know what would have happened if I wasn't able to break that leash before she got to the top again," he said. Interestingly enough, Ussery was actually on the phone while saving the dog. "I was actually in the middle of leaving a voice mail when it happened," he said. LiveLeak link. Brian Ussery's Facebook video. "I had to explain later what happened." Ussery said the dog's owner went to the fifth floor and was expecting the worst when he finally made it back to the first floor. 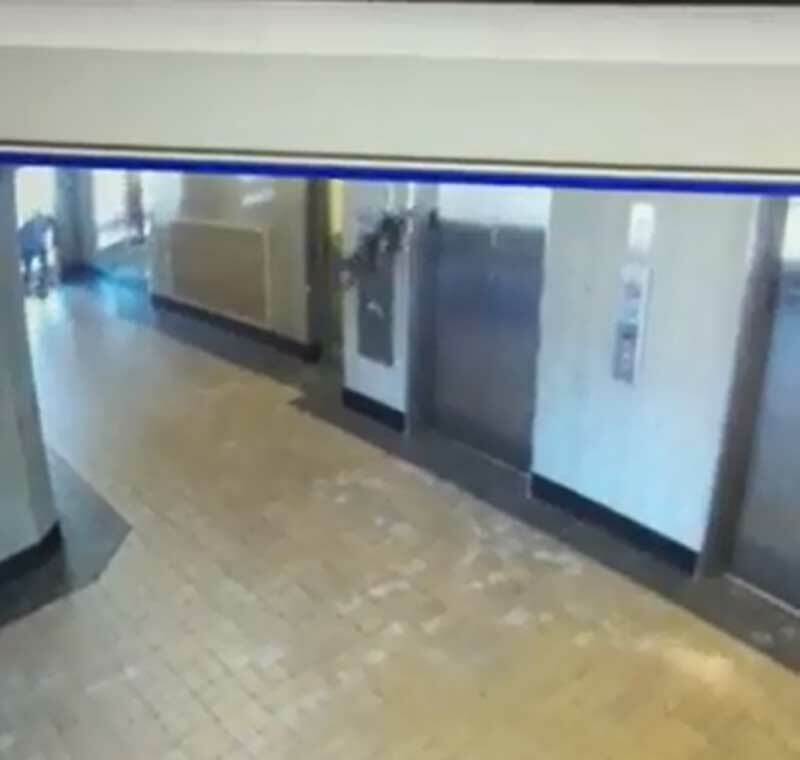 "The guy was freaking out. He didn't know what he was going to come back to," he said. The dog's owner was extremely gracious and thanked Ussery for his quick actions. The dog was not injured. What an incredible accident, and what a great guy to save the dog!